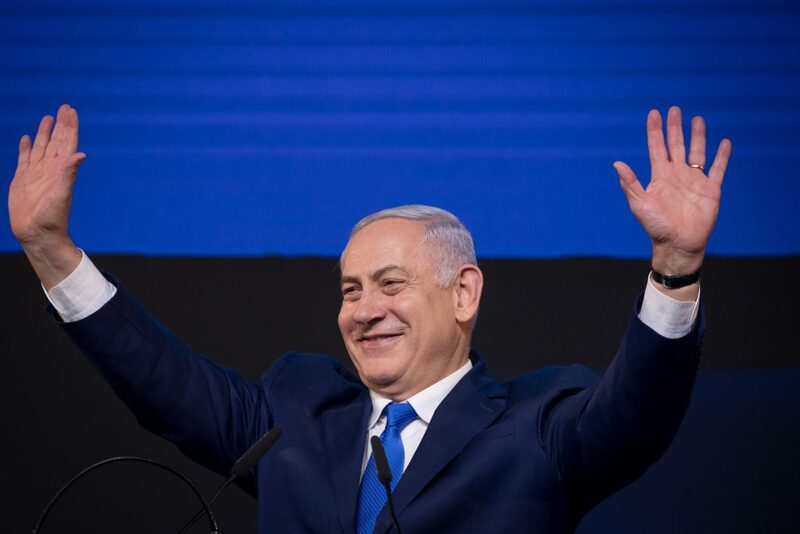 Binyamin Netanyahu is the big winner of the 2019 elections. Channel 20’s Eliran Tal writes in an extensive analysis that while the media, for the most part, mocked him and his indictment hovers over him, Benny Gantz and his other “Generals’ party” was seen as a serious worthy alternative, and the split in the right bloc could have hurt his future coalition – in the end, Netanyahu succeeded in bringing more than a million Likud voters to the polls, and pulling off yet another stunning win. In the last few days of the election home stretch, he maneuvered the campaign and reached the threshold he set for himself – to at least come out on even ground with Blue and White and make sure that the right-wing bloc will be steady. And yes, the fact that Naftali Bennett and Ayelet Shaked remained out of the next Knesset (unless the results of the soldiers’ votes change the final result) certainly did not sadden Netanyahu and his wife. Bennett and Shaked are the big losers. Two senior ministers who deserted the Jewish Home in favor of an adventure that proved itself unsuccessful and unnecessary and a threat to the right-wing coalition. Already at the beginning of the week, the feeling at the party headquarters was that it was going to be difficult, or even impossible, to pass the threshold. Shaked was not enthusiastic about Bennett’s break away, and to a certain extent she was dragged into it. It will cost her a heavy political price. A party without serious headquarters, volunteers and activists cannot, within two months, defeat the veteran right-wing parties. This is the price of Bennett’s political arrogance. Even if they somehow pass the threshold, the political partnership between Bennett and Shaked must have ended. Shaked will make her way to the Likud leadership, where she belongs. Bennett will probably return to business and high-tech. These are two good, energetic and wise politicians who have contributed greatly to Israeli society. As for Shaked, she will probably rejoin the political scene after the Netanyahu era. It is preposterous without a word about Moshe Feiglin. Yet another doomsday for the pollsters. He, who dreamed of seven Knesset seats, as did Orly Levy Abukasis, ended up with a shameful defeat. The attack on him, from both the right and the left, took its toll, as have some embarrassing appearances in the media. Even his potential voters showed responsibility and maturity (despite their young age) and left this unclear party out of the political game. Netanyahu can breathe a sigh of relief. Feiglin is the second name, after Bennett, whom the prime minister did not want to sit next to at the cabinet table. The collapse of the Arab parties, from 13 seats in the outgoing Knesset to a top of 10 in the next one, is a result of the imperviousness of the Arab elected officials to the sector they are supposed to represent. In 2015, Ayman Odeh was chosen as a hope to make a change and to strengthen ties with the voters who are less interested in what is happening in Gaza and how it is possible to help leader Mahmoud Abbas. The Arab residents of Israel want to integrate into Israeli society, with employment, paved roads in their communities, a sense of security in the streets and a good future for their children. This time, the Arab voters gave vent to their frustration at the disappointing leadership. It would be a cliché to say that we saw another Yom Kippur of the pollsters. They have shown mainly that they are unable to properly review the Russian and chareidi sectors. Shas and Yisrael Beyteinu proved their electoral power and survived another term, yet this time it was not easy, not even for Deri. Moshe Kahlon lost 60% of his power from the outgoing Knesset. At the beginning of the week, he spoke optimistically and was convinced, really, that he would reach eight seats. Yet he too was wrong. If he will run again as head of an independent party, he too will probably disappear from the political map. He would do well to return to the Likud. Ultimately, he and his partner, Minister Eli Cohen, are clearly Likudniks. Poor Avi Gabbay. To come back with returns of just six seats for the party that founded the state is no less than embarrassing – a loss of 18 seats from the previous elections. Gabbay led a confused and unclear campaign. At one stage, he played the ethnic card, noting that he was a Moroccan from the transit camps and called Netanyahu ‘racist,’ and another time he boasted that as he managed to manage the Bezeq company, he would succeed in politics. Then he decided to throw his hand into the Blue and White rotation deals, and when he finally realized that he could not enlist public support for his own leadership, he boasted of his team in Labor, which consisted mostly of left-wingers. But those who wanted to vote for the left – voted Meretz. One can sense that Gabbay’s days in Israeli politics are numbered. He joined Labor with great promise and potential yet leaves an election campaign with defeat. He leaves behind a fractured party, which is unlikely to succeed in rehabilitating itself, at least not in the near future. And a final word about, of course, Blue and White. A party formed with the sole purpose of toppling Netanyahu. The group of generals, together with Avi Nissenkorn and the former media host Lapid, along with a few others, were unable to move voters from the right. Benny Gantz, a former IDF chief of staff, but a political rookie, made all the possible mistakes, and his partnership with Lapid, Ganz, Ashkenazi and Ya’alon did not seem like a natural connection. Gantz has been recorded in the past two months as saying that he does not rule out joining a government headed by Netanyahu. It would be a good thing for him if he parted from his new friends, admit that he had failed in his task of ousting an incumbent prime minister, and come with the members of his party to join the coalition. Lapid and Ya’alon will explain to him that it is a mistake to join the coalition, that Trump’s deal of the century, as well as the hearing that will be held for Netanyahu at some point, justifies waiting it out in the opposition. Yet Gantz is not made from these materials. He did not go into the political world to become another Shelly Yachimovich. Leave it to him to try work out the option of entering the Netanyahu government as defense minister. Is Netanyahu interested in this? No one knows. Yet.